Juan Antonio Bayona is the king of the horror thriller, of making you doubt what you’re seeing, of keeping you on the edge of your seat, so it should come as no surprise that his disciple, Sergio G. Sánchez, does the same on their latest mind-blowing project, Marrowbone (in Spain, The Secret of Marrowbone). With Bayona acting as a producer, Sánchez is this time not only the writer, but also the man behind the camera. Sánchez wrote The Impossible and The Orphanage, two Bayona-directed hits, and man, did they kill it with Marrowbone. Marrowbone is a tale where things aren’t what they seem. Even when you think you’ve just been given a twist, there is still more to discover. Much more. 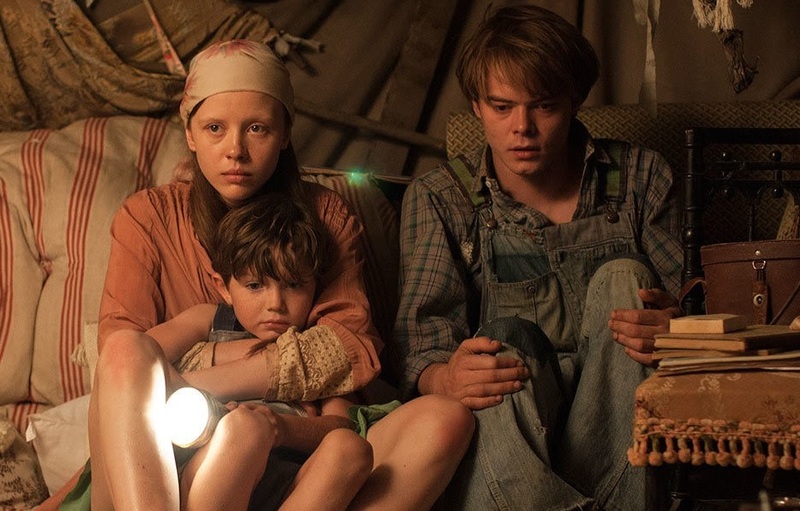 In this dark story, Jack (George MacKay) and his three younger siblings (Charlie Heaton, Mia Goth and Matthew Stagg) move with their ill mother from the UK to her childhood home in the States, running away from what we guess is their abusive father. 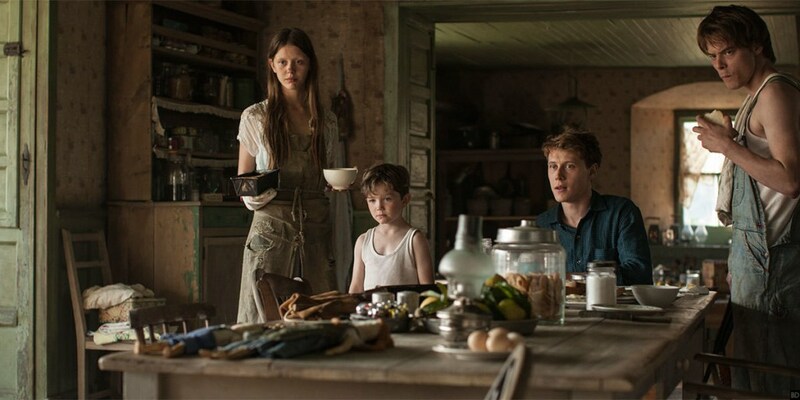 The children are happy in the Marrowbone mansion, and they even befriend their neighbour Allie (Anya Taylor-Joy), who becomes even friendlier with Jack. But soon later, their mother dies, and Jack is forced to hide his siblings and her death from the world until he turns 21 and can officially become their guardian. But danger awaits. Something that we initially don’t get to see happens, and we can feel that the siblings are keeping an important secret from us. What can it possibly be? Even Allie wants to know why the children never leave the house, hidden in the middle of nowhere. Everything that comes afterwards is unexpected and brilliantly laid out. It is one of those stories you need to experience yourself, because you just can’t have someone else telling you what it’s about. The shock when you live it in first person is much more fulfilling. And you can trust me, because I dreamt about the film that night, and I had the worst time getting home in the middle of the night after I parked my car -and all I had to do was take an elevator. If you like Bayona’s work and horror thrillers, this is the film for you. The acting is excellent and the whole atmosphere makes you feel unsafe the whole time. It’s a terrifying story with a cute-of-sorts side that will stay in your brain for days. Maybe I missed something. Did Jack’s siblings die because he locked them away in the room or did he kill them? Did he assume the personality of all the sublings(I think that’s what the psychiatrist told Allie) and I who is the man that was shot and living in the house? It doesn’t look like the father.